Vasilisa is the odd girl within her family, the one that listens too closely to her nursemaid's stories and believing in the household spirits even after her devout stepmother arrives and forbids her family from performing their usual rituals. She knows that they are just as important as the politics in Moscow, or keeping the people of her father's land safe. The priest from Moscow turns the people away from the old ways, but this actually endangers them all, and Vasilisa must fight with the country spirits to keep the people and land safe. Set in pre-Christian Russia, the history of the time period is woven into the story as seamlessly as the magic and folklore. Relationships are explained in a very fluid way, and we get a chance to see some of the political machinations that lead to Anna and then Konstantin arriving in Vasilisa's homeland. Arden draws us into the land with very vivid descriptions that show us the love that Vasilisa has for it, even as the villagers call her a witch because of her ability to see spirits. These same spirits are given as much importance as the human characters, even if we don't always learn their histories. Even the antagonists are given the same thorough treatment; each one is the hero of their own story, after all, no matter how misguided, and they all have their place in the fairy tale. Vasilisa is headstrong and willing to do whatever it takes to save the ones she loves, even if it isn't asked for, and is unable to forget the "real world" as she gets more entangled in that of the spirits at the end of the book. 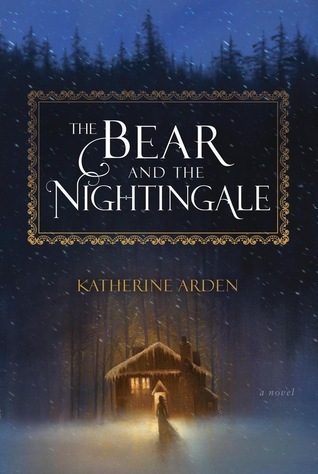 Very engaging read and well done, it's hard to believe that this is Arden's first novel. I've been hearing a lot about this book! 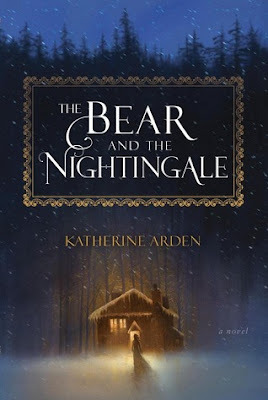 It took me a long time to read The Snow Child and The Golem and the Jinni, because of the folklore/fable aspects, and I loved both of them, so I'm definitely going to look for The Bear and the Nightingale.